So 3 months today I'm off on holiday to Spain. It has been 8 years since my last holiday abroad and I CANNOT WAIT. Of course you know about this because I have been on going on about this for months! 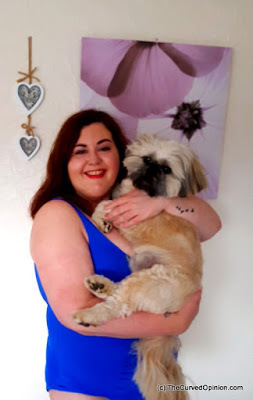 I previously wrote about dressing while plus size on holiday and today I want to talk about how to prepare yourself in terms of confidence and preparing yourself in terms of your skin. 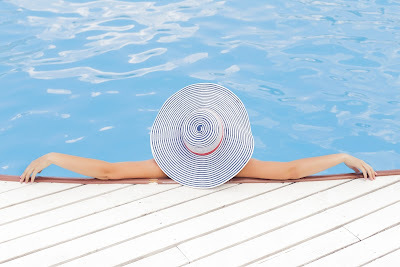 One thing that I am conscious about, especially now that I am 39 is that taking care of your skin in the sun is so important and you have to be prepared. My skin hates winter and I frequently end up with dry flaky legs and dry patches on my face, no matter what products and creams that I use. This brings my confidence levels down and makes me cover up more. I now attend a local thermal spa every month and indulge in the steam and sauna rooms which is fabulous for your skin and the heat exfoliates your skin a thousand times better than any product. In addition, I am shortly going to be taking a natural collagen supplement in order to improve my skin's elasticity. This product also helps to protect your skin from sun damage. I will post a link on the blog when I have finished trying out the product for my thoughts and review. As I haven't been on holiday for so long, I am having to buy a lot of things for this holiday when it comes to clothes, products and accessories. This can prove expensive and one way that I have combated that expense is by researching online for the best prices and also using cashback sites. 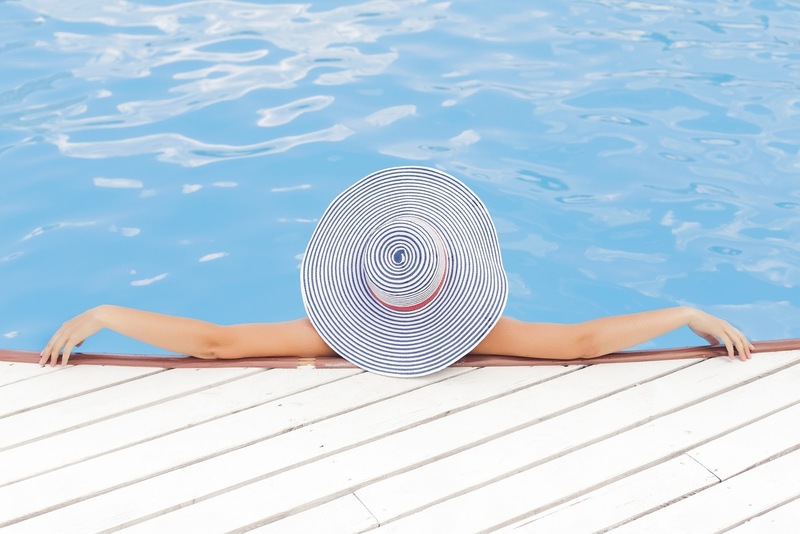 You can get cashback on everything from the holiday itself, to travel insurance, to your clothes and the products that you need. He had to get in on the act!! 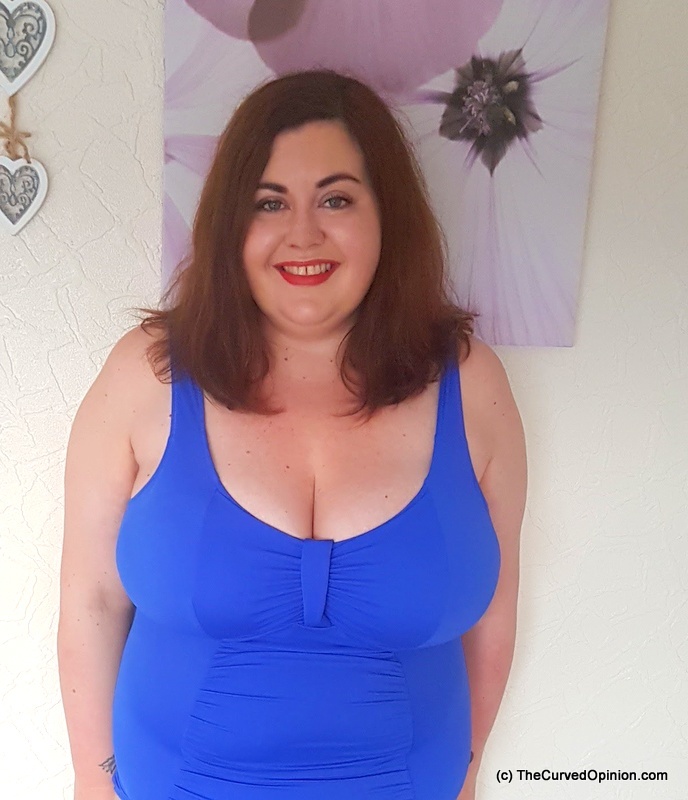 As a plus size woman, even with the confidence that I now have, I confess that I do find the prospect of walking around in swimwear, shorts etc a little bit daunting. Although I feel confidence in myself, the judging eyes and occasional comments can get you down and that is the last thing that you want when you are on holiday. Going to my local spa every month has increased my confidence exponentially in realising that people are living their own lives, having their own experiences and generally do not care what other people are doing or look like. But if you are worried about being confidence and secure on holiday, do what I do. Bring on the glam!!! Work those Audrey Hepburn inspired sunglasses. Wear the brightly coloured kaftan or sarong around the pool. Find that swimsuit, swimdress or bikini that makes you feel fabulous. Wear a dress every night if you want (I will be). I have even bought a Spanish inspired fan. I spent far too many years worried about what others thought about my body without ever thinking of what I thought about it. No more. I own who I am, what I look like and what I wear and damn, I am going to look and FEEL fabulous on holiday. On a side note, I share this last photograph of me in a swimsuit for a reason. I reviewed this swimsuit a few months ago and shared it on my blog and Twitter. An idiot who disagreed with me online recently shared this photograph of me online, without comment, in order to try and silence me. Pro tip. If you disagree with me, use your words. Form an argument. Grow a set. Because you will NEVER silence me or make me feel ashamed of my body. If your only form of argument is to try and silence someone by attempting to disparage their body image, you are the one that needs help. Not me.